The Antalya Region, offering all the mysticism of past in our day, is now called the "Turkish Riviera" due to its archaeological and natural beauties. 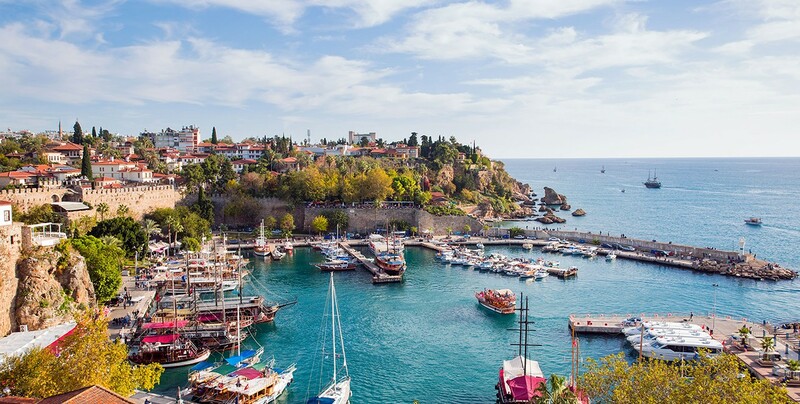 Antalya is the place where sea, sun, history, and nature constitute a perfect harmony and which also includes the most beautiful and clearest coast along the Mediterranean. The city still preserves its importance as a center throughout history in the south coast of the country, in addition to its wonderful natural beauties. The mythological city which housed the Gods and Goddesses now exhibits all its secrets and marvels to mankind. Antalya and its surrounding is an important and noteworthy touristic center on the Mediterranean Coast with its perfect climate and splendid harmony of archaeological, historical and natural beauties, throughout the year available. You may reach Antalya from almost every city of the country, and even from little towns, coach companies going to Antalya are available. Between the end of July and the beginning of September, Turkey is extra busy with the height of summer bringing thousands to the coastal regions. July and August days are long and hot and the nights are warm. June, the beginning of July and all of September offer a better combination, with warm days and cool evenings. The water in September can be especially warm in places. The area is shielded from the northerly winds by the Taurus Mountains. Antalya has a Mediterranean climate with hot and dry summers and mild and rainy winters. Around 300 days of the year are sunny. Antalya has over 3000 hours of sunlight per year. The sea temperature ranges between 15 °C (59 °F) during winter and 28 °C (82 °F) during summer. The air temperature reached a record high of 45 °C (113 °F) in July and a record low of −4 °C (25 °F) in February. The average air temperature ranges between the low-to-mid 30 °C (86 °F). Antalya is located in the west of the Mediterranean region. In ancient times it covered all Pamphylia which means "the land of all tribes". The land really deserves the name since it has witnessed many successive civilizations throughout history. In the 1st century BC, the Pergamum king Attalus ordered his men to find the most beautiful piece of land on earth; he wanted them to find "heaven on earth". After a long search all over the world, they discovered this land and said "This must be 'Heaven' " and King Attalus founded the city giving it the name "Attaleia". From then on many nations kept their eyes on the city. When the Romans took over the Pergamene Kingdom, Attaleia became an outstanding Roman city which the great Roman Emperor Hadrian visited in 130 AD; an arch was built in his honor which is now worth seeing. Then came the Byzantines, after which the Seljuk Turks took over the city in 1207 and gave it a different name, Adalya, and built the Yivli Minaret. The Ottomans followed the Seljuks and finally within the Turkish Republic, it became a Turkish city and an important port. 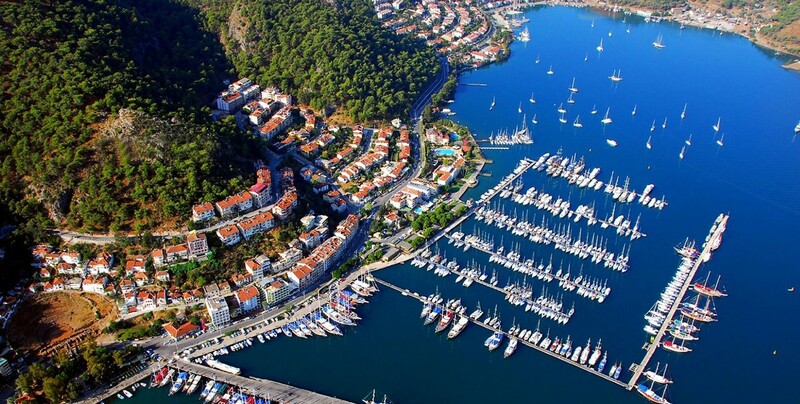 Antalya has been growing rapidly since 1960 and its population is 1,146,109 according to the 1990 census. City Walls: The memorial Hadrian Arch and The Clock Tower are remarkable and date back to the Hellenistic era. Kaleici: This is the nucleus of a city which embraced many civilizations during the time. It is now restored and has become a most attractive touristic center with its hotels, restaurants, shopping and entertainment facilities. Kalei, ci retains all the original ancient Turkish archaeological characteristics. 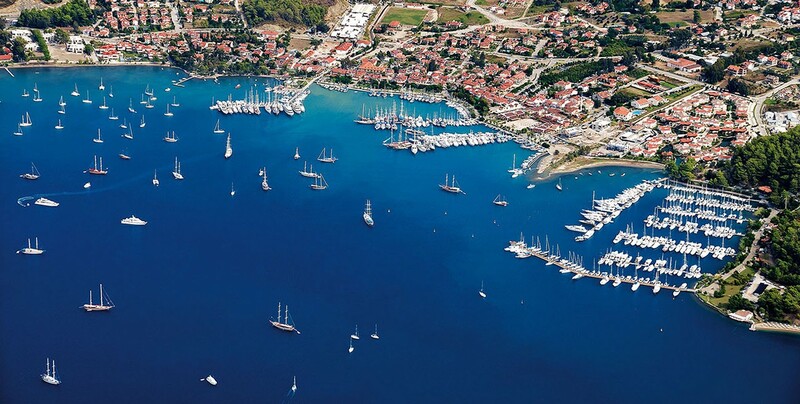 The port's marina has been completely restored and is well worth visiting. The restoration activities in Kaleici won the Golden Apple Prize, the Oscar of tourism. Antalya Museum: A prize-winning museum and one of the most notable archaeology museums, of the world. It is also the only museum in Turkey with a children's department exhibiting ancient monuments appealing to children. Hadrian's Gate: This ornamental marble arch was constructed in 2nd century BC by the Romans in honor of Emperor Hadrian. It is the most amazing area in the whole ancient Pamphylia region. Kesik Minaret (Broken Minaret) : Once a Byzantine Panaglia church, later converted into a mosque. Yivli Minaret: This fluted minaret of the 13th century was built by the Seljuks. Decorated with dark blue and turquoise tiles, the minaret eventually became the symbol of the city. Termessos: It is a Pisidian city with remnants of an agora, theatre, and an odion. It has a reputation of being the most magnificent necropolis on the Mediterranean, 35 km northwest of Antalya. Perge: 18 km northeast of Antalya. The ruins are spread on two hills, the theatre on one and the Acropolis on the other. According to the legend the city was built by three heroes from Troy. Sillyon: 34 km from Antalya on the Alanya direction. It is situated between Aspendos and Perge and dates back to 4th.century BC. Aspendos: One of the most important Pamphilian cities. It is situated on the point where the Kopru River meets the sea. Once an important port and a commercial center, it has a reputation for raising the best horses on earth. The odeon, basilica, Galleria, and fountains are worth seeing.